Under 12 Reds - SSYLarrow-rightCreated with Sketch. Going into our final league fixture we knew that a win would confirm our second place finish and ensure promotion to Division 3 in our first competitive league season. After two postponements due to wintry weather it was a glorious sunny spring morning as we travelled across town to Wild Park for the last installment of our 2018/19 campaign. After a hard fought 1-1 draw at Balfour we knew we were in for a tough examination and, with the added importance of the match, perhaps unsurprisingly we struggled to settle into our usual fluid passing game. Right from the start it was clear that 9 man Coldean, despite their lower league position, were simply not going to roll over and allow us an easy time of it . With a strong back line led by their inspirational number 6, it was always going to be a stern test of our attack to get the goals necessary to secure the points. Coldean are always forward looking with the ball and are constantly looking to hit teams on the break. Twice in the first minutes only a last ditch tackle from Arlie prevented their striker from going through one-one-one with Leo between the Reds sticks. Gradually the Reds midfield, marshalled by skipper Ernest began to exert a hold of the game, and the team settled to the task in hand. However despite dominating possession and looking assured up to the final third we struggled a little with the downward slope and Coldean never looked troubled in defence. Nerves were finally settled in the 7th minute as our hugely influential, top-scorer Archie latched onto the ball on the edge of the box, swivelled and fired in low off the left hand post. Buoyed by the lead we pressed high into the Colts half but too often we ended up playing through the middle and were met by the immovable Colts defence. Conceding cheap goals is not in their nature, and time after time their organised, narrow defensive formation forced us wide but we struggled to find any quality balls into the box. As the half drew to its conclusion a series of corners did offer the opportunity to extend our lead, but the sides went into the break separated by the single goal. Playing up the slope in the second half, the intital exchanges once again favoured the Colts as we struggled to clear our lines. Gradually we began to exert more control on the game but without creating much in the way of clear chances. 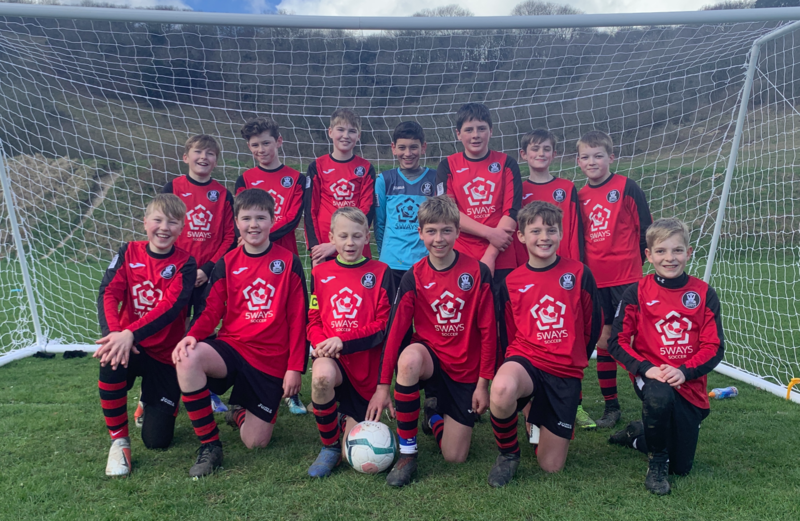 Colts were never out of it, but assured performances from Felix, Arlie and Charlie meant that when we did win the ball we we always swiftly on the front foot and looking to work the ball forward quickly to the tireless midfield of Toby, Luke and Ernest. Into the final stages and, with the Colts visibly tiring having been reduced to 8 men following an injury, it was Archie once again who provided the moment of inspiration that sealed the points. A move started by a lung bursting run from Charlie on the left ended with George slipping a perfectly weighted ball through to the striker who smashed the ball past the keeper from 12 yards. With an agonising 6 minutes of time added on, late changes in the Reds back line led to a little indecision and after a late 'I've seen them given' penalty claim was waved away by the referee, a nervy back pass picked up by keeper Arun saw Colts awarded an indirect free kick from 9 yards. Despite the massed Reds on the goal line a smart, low strike through the makeshift wall reduced the deficit and ensured the final whistle was welcomed with a mixture of jubilation and relief. We would like to extend our sincere thanks to the players, coaches and spectators of both teams for a match played in a great spirit. All the best to the Colts players and coaching staff for next season, and we look forward to renewing our friendly sporting rivaly soon.